After a week with a lot of news about Bitcoin-related conferences and new places that now accept cryptocurrency as a form of payment, Bitcoin Examiner does another weekly round up to sum the happenings of this past week. Besides our lists – like “20 Strange things you can buy on Silk Road” or “13 Businesses we hope will accept Bitcoin (pretty please? )” -, this week we also published an interesting interview with Matt Allen, founder of BitcoinStarter. 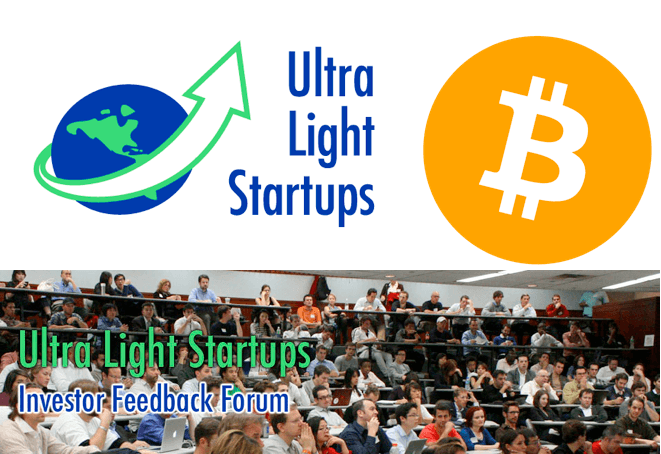 The last meeting hosted by Ultra Light Startups, the NYC Bitcoin Pitch Event that occurred in New York, was a true success. On July 11, nine entrepreneurs talked for two minutes each, making pitches about their Bitcoin businesses, at the event prepared by the community dedicated to helping technology startups grow. After the presentations, four experts – Andrew Chang (founding partner of Liberty City Ventures), John Frankel (partner of ff Venture Capital), Nikhil Kalghatigi (principal of SoftBank Capital) and Matthew Witheiler (principal of Flybridge Capital Partners) – provided guidance to each startup. In the end, the audience chose three winners for in-kind prizes. At the conclusion of the evening, the winner startup was the digital currency exchange CoinX, followed by Open Wallet and Atlas ATS. New York City is clearly one of the places on the planet where Bitcoin has a bigger expression, since the Big Apple has been hosting some major Bitcoin-related events and, this time, it’s no exception. On July 30th, the conference Inside Bitcoins will take place at the New Yorker, on 8th Avenue. If you haven’t confirmed your presence yet, don’t waste any more time. Check the complete program here. The Bitcoin Foundation was alarmed after FinCEN announced the document “Imposition of Special Measure Against Liberty Reserve S.A. as a Financial Institution of Primary Money Laundering Concern” and didn’t hide it. The problem is that this new regulation proposed by the Financial Crimes Enforcement Network (FinCEN) suggests all virtual currency transactions are inherently suspect. So, the institution decided to write a public letter asking for a clarification. The foundation believes that the FinCEN’s proposed rule can and will probably be misinterpreted, creating the idea of cryptocurrency as a dubious matter that has a unique goal: laundering money. The company Synergetic Press has recently started accepting Bitcoin, becoming the first publisher to deal with cryptocurrency as a form of payment. The decision was made in order to please the “readers who are familiar with digital currency”, according to the company. Already known for publishing “books that deepen our understanding of Earth’s living systems and the role of human culture within them”, Synergetic Press is now probably the first publisher to accept Bitcoin, as well. Over a month ago, Bitcoin Examiner presented the couple Austin and Beccy to you. They were soon to be married at the time, something that has already happened, but what would come next would be nothing like the normal newlywed life. The couple from Provo, Utah, announced that after their wedding they were going to live only on Bitcoins for 90 days and the adventure has already begun. Food, fuel, internet, every single thing (even rent)… All will be paid with cryptocurrency! Austin Craig and Beccy Bingham Craig started a fundraising campaing in the platform Kickstarter and also on their official website, gathering $72,000, as well as 82 BTC (over $7,000 as of Bitcoin’s current value), to pay the filming crew during the making of the documentary. We watched an historic happening this week: the first recorded Bitcoin transaction in Afghanistan. The Bitcoin entrepreneurs Adam Locklin and Robert Viglione, this last one from the website Coindesk, were the stars of this moment. Viglione bought a Partagas cigar from Locklin for 0.1 BTC and that was it. However, this simple trade was much more than just that. It helped both experts realize that Bitcoin needs a couple of things before evolving in remote parts of the developing world, exactly like Afghanistan. First of all, these countries need exchanges. Second, they also need a tool that allows Afghans, among others, to easily spend their Bitcoins. 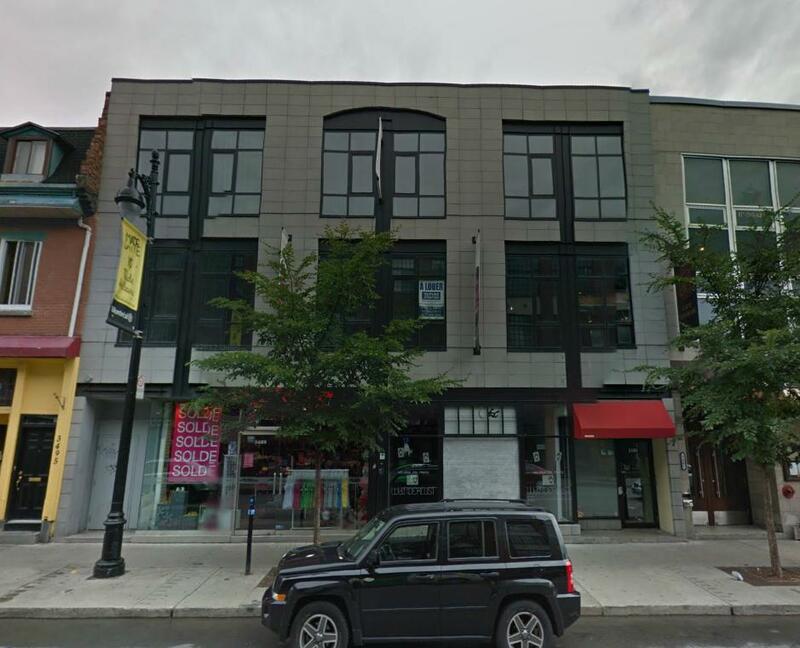 An amazing announcement was made this week at the Bitcoin Talk forum: the city of Montreal, in Canada, might be the home of the first Bitcoin Embassy really soon. “Thanks to a generous person who will remain anonymous for the time being, we have been given a building that we hope to convert into a ‘Bitcoin Embassy’. With three floors to do with as we please, we hope to organize the space to make it easy and fun for people from all over the province to come and learn about Bitcoin, as well provide an office space for Bitcoiners to come do in order to start Bitcoin related projects, so they can work closely with other Bitcoin entrepreneurs, to develop exciting projects that will utilize Bitcoin in new ways!”, says the announcement. The team organizing the project is asking a lot of questions to the virtual currency users. If you want your opinion to be heard, join the debate in the Bitcoin Talk forum. After introducing “Dragon’s Tales”, the first massively multiplayer role-playing game (MMORPG) that works with Bitcoin, the world of cryptocurrency is now presenting a new similar title: “BitFantasy”. The game, which is still is its beta stage, allows players to trade with each other during the action using Bitcoin. Its creator, Darren Tarbard, has spent the last 20 years developing software and he assures “BitFantasy” won’t be that kind of game where you have to pay in order to win. In this Bitcoin-driven MMORPG, players live in an “infinite world and you explore it by building roads to discover new villages, resources or mysteries”, explains Tarbard. On the other side, there’s a “world-eating monster” that is destroying the land and, to make it worse, the royal guard has also started a revolt against the Queen. Guess who has to help her: you, of course! Trendon T. Shavers is the name of the man recently charged by the US Securities and Exchange Commission (SEC) for allegedly running a Bitcoin-related Ponzi scheme. However, the Bitcoin world knows him better as the famous ‘pirateat40’. The founder and main operator of Bitcoin Savings and Trust (BTCST) offered and sold Bitcoin-denominated investments through the platform, collecting a true fortune. The suspect gathered at least 700,000 BTC, what was equivalent at about $4.5 million at the time of the alleged take. However, that’s almost $63 million at today’s prices. According to the complaint submitted by the SEC, “from at least September 2011 to September 2012”, Trendon Shavers “falsely promised investors up to 7% interest weekly based on BTCST’s purported BTC market arbitrage activity, including selling BTC to individuals who wished to buy BTC ‘off the radar’, quickly or in large quantities”. The website That’MyFace.com is finally accepting Bitcoins to produce awesome action figures with your face on it. The online store makes unique and customized products using portrait photos. After receiving a picture, the specialists create a custom-made action figure with your favorite size (4″, 6″ or 12″) or just a personalized action figure head. ThatsMyFace.com also produces lifesize wearable masks, along with figurines. And it doesn’t even matter where you live, since the company ships worldwide. Bitcoin Examiner talked with Matt Allen this week and the founder of BitcoinStarter revealed that the Bitcoin crowdfunding platform will soon have a new feature that mixes the powers of BitcoinStarter and Reddit. The website was launched back in April and it’s a true success, with new projects joining every day. You can check the entire interview here. Almost everybody in the Bitcoin scene knows that an increasing amount of cryptocurrency-related malware is spreading through computers worldwide, using them as host systems to secretly mine Bitcoins. One of the most famous affiliate programs out there currently doing this is known by the name of FeodalCash. The Russian program actually pays people for the mass installation of malware on other people’s computers, turning the devices into Bitcoin mining bots. Allegedly, FeodalCash has been recruiting new members since May of this year, but they keep denying the accusations. Amagi Metals, the well-known precious metals furnisher, recently revealed that their current bank account with the San Francisco-based Bank of the West (BotW) is going to be closed in the middle of August. And all this because they accept Bitcoin as a payment method and the institution sees that as a risk. “We have worked with BotW since 2011. In the last month they began requesting information about our business and claiming that we were a Money Service Business (MSB). However, we only accept Bitcoins as a payment method, we do not sell Bitcoins, nor do we exchange or ‘deal’ Bitcoins. In addition, we are compliant with AML/KYC and other regulations”, explained Amagi Metals in a public statement. The new partnership between the Bitcoin exchange Bits of Gold and Global Money Transfer (GMT) is now allowing Israelis to buy Bitcoins at their local exchange bureau. This collaboration means that Bits of Gold is properly following the current and future anti-money laundering and customer-related regulations in the country. Great news for the CEO of the exchange, who claims to be in love with Bitcoin ever since he heard about the “cross-border nature” cryptocurrency for the first time, back in 2010. Mt. Gox has been through a lot in the last months. After problems with banks and regulators, now the payment processor BIPS has abandoned the Japan-based exchange and chose Bitstamp to replace it. The two-year-old payment processor, based in Copenhagen (Denmark), is actually considered the largest provider of Bitcoin payments in Europe. The company, founded by Kris Henriksen, had been using Mt. Gox to convert between fiat currency and Bitcoin until now, but has made the decision to change in the last few days. The reason? Mt. Gox is slow… As the number of sell orders keep increasing at Bitstamp with more and more merchants embracing the crypto-payments, the exchange continues to be slow when it comes to process withdrawals, explained BIPS. We just witnessed the sale of SatoshiDice for almost $12 million, something like 126,315 Bitcoins, but the world of cryptocurrency is already watching as a new Bitcoin-based betting platform rises. Bitbetex is the name of the new website that allows anyone who owns Bitcoin to bet on anything with anyone else. The platform is almost running its beta version, but it’s already possible to understand how the betting system is going to work on a near future. “Beta access will be given to the first 500 registrations so get signing up if you want a peak beyond this landing page. Better still, during beta we’re giving away prizes! Nothing crazy but just a little thanks to the testers and to make things a little more interesting”, according to the website. Two anonymous activists connected to the cryptocurrency world have proposed an alternative to Bitcoin: an option that would fork the protocol and generate Bitcoin 2. This new derivative of the original code would help maintain what the proponents call, in their paper “Bitcoin 2: Freedom of Transaction”, the “original long-term vision” of this cryptocurrency, destroying the elements of the protocol that they consider to be damaging to the system. Bitcoin 2 would be built to support the anonymity protocol Zerocoin. This is the activists’ plan to stop the original protocol from developing “into a system that is a complete perversion of the original vision – a completely transparent payment system with very few points of control which has been totally absorbed by the established financial and regulatory environment”. AudioPlace.com is the name of the music sharing platform that allows you to listen to new music created by unknown artists and donate some of your Bitcoins to help them if you really like their work. The platform lets you listen to new music or to its top rated creations anytime and you don’t even have to register if you just want to enjoy a couple of songs. However, if you register you can either post your music, if you’re an artist, or get information about the songs you’re listening to and also the opportunity of helping your favourite artists with some Bitcoins, if you’re a listener.